Too busy to read now? Click here to get this post emailed directly to you as a PDF. Enter your name and best email address to receive a PDF copy of this post. 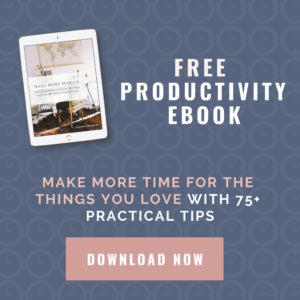 Have you ever wished you could sit down with a few of your favorite productive mamas and ask them, point blank, how they manage to get everything done? 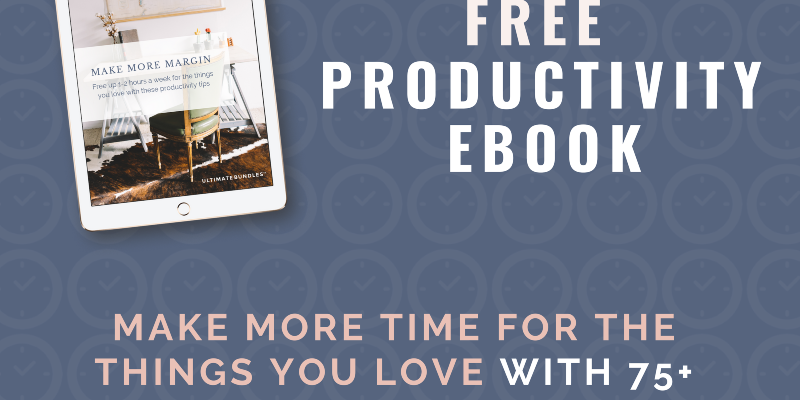 This ebook asks specific, no-nonsense questions of popular bloggers (aw shucks 🤗) to discover the real-life secrets to their productivity. What is one time-saving tip that you use personally to free up more margin for the activities and people you love? What are your favorite productivity tools or services and how do you use them? What are some refreshing hobbies or self-care habits that you’ve found can be incorporated into a busy schedule? How do you use the small pockets of free time that appear throughout the day? What would you say to someone who feels guilty taking time for themselves, especially when there’s so much to do? In this book, you’ll find the answers! Download your FREE copy of Make More Margin right here. What are the Top 10 Foods All Organized Mamas Keep in the Freezer? If you have these, you'll NEVER be stuck at mealtime again. All the tools to do all the things – check it out! Get control of your meals and your time TODAY! Subscribe and receive THE most flexible menu planner printable, along with a guide to the different ways to use it. Get control of your meals and your time TODAY! Success! Now check your email to confirm your subscription. Seriously, go check. You might even have to look in your Spam folder. You'll get your freebie when you click the SUBSCRIBE button in that email. It's the Internet Police's way of making sure you REEEAAALLLY want it! Prefer to hear from us via FB Messenger? Smart Moms Keep THESE in the Freezer. Never be stuck at dinner time again!